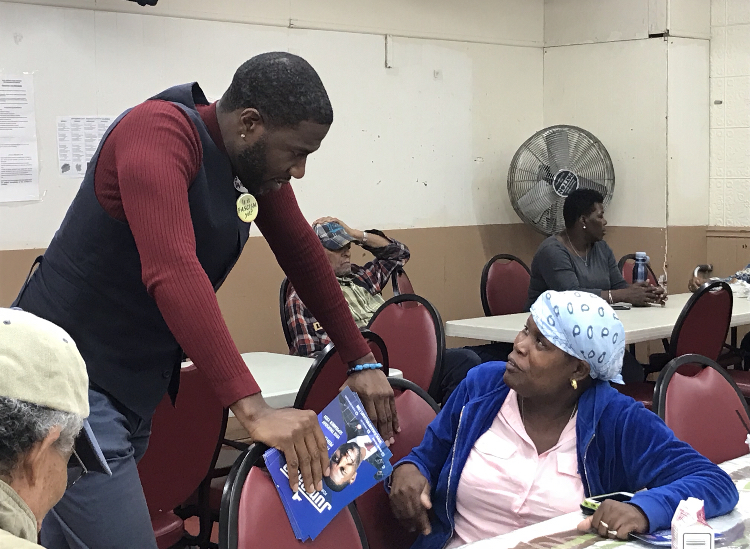 FLATBUSH — New York City Councilman Jumaane Williams, a lieutenant governor hopeful, received his first congressional nod Monday inside a Flatbush church he once attended as a child. U.S. Rep. Yvette Clarke met Williams on the second leg of his 5-borough bus tour where the two greeted seniors on Monday. Having also attended Saint Gabriel’s Episcopal Church in her youth, the congresswoman thought it befitting to endorse Williams. Williams also visited Hazel Brook Senior Center where he joked with seniors he said hadn’t seen him in a while because of redistricting. 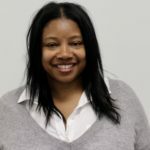 “You guys might not recognize me, I have less hair,” said the 42-year-old who at one point sported dreadlocks during his 8-years as a councilman. Last week, The New York Times endorsed Williams donning him “independent-minded,” over the incumbent Kathy Hochul. The two will face off on September 13 during the Democratic primary with the nominee forging ahead on the same ticket as Gov. Cuomo for the Nov. 6 general.